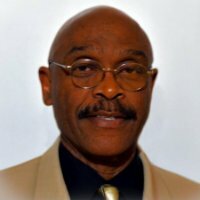 Mr. Terry R. Matthews, M.S. Terry works with the WSA Advisory Committee to monitor individual projects and class projects and provide regular reports on the Steward’s progress to the Advisory Committee. He is the primary source to communicate with Stewards regarding classes, meetings, special events on regular basis, and to monitor stewards’ progress throughout the class schedule, providing support, consultation, and encouragement. Terry receives application forms, schedules interviews, and maintain records pertaining to Stewards Certification.